Chuck Norris | Did you know ?! Some magicians can walk on water, Chuck Norris can swim through land. Actually all jokes are true, so these should be FACTS about Chuck Norris. Chuck Norris has already been to Mars; that's why there are no signs of life. Chuck Norris does not dream of driving a Ferrari, the Ferrari dreams of be driven by Chuck Norris. 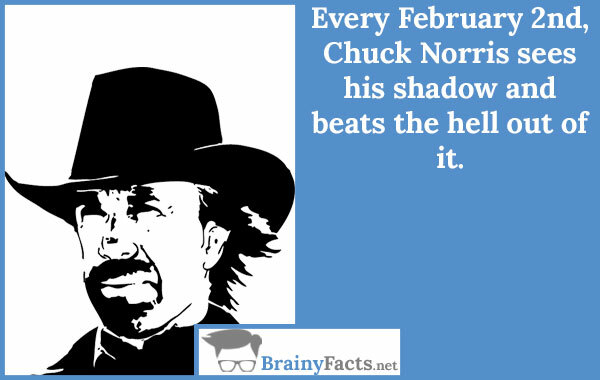 Every February 2nd, Chuck Norris sees his shadow and beats the hell out of it.